I found out about an interesting App this last weekend called Think Dirty. The App allows you to scan the barcodes on products like cosmetics and find out if they are clean, not harmful or dirty, having possible harmful ingredients. I scanned my can of Barbasol Shaving Cream and it came up, on a scale of 1-10, a 9. I thought what can be so bad about shaving cream? I have used this brand for a lot of years. I clicked on ingredients within the app, and found that the worst thing in the product that made it rate a 9 was fragrance. The name fragrance, also known as almond fragrance, aroma, or aromatic oils. Many things can go into a fragrance, but the list of health impacts are hormone disruptor and allergies. This has to make you think about what is being put in products that we use on a daily basis, to make them appealing, so that we will buy them. 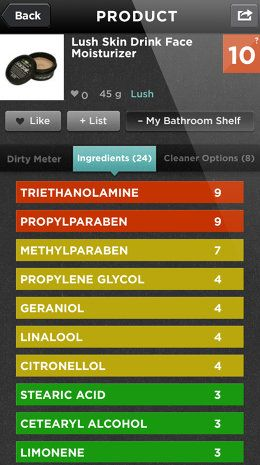 This app doesn’t scan food items that are ingested, but does scan products that we use external like shampoos, cosmetics, even mouthwash and toothpaste. Think of how many products that are made for skin care and cosmetics. To give you an example, I scanned a jar of Pond’s Dry Skin Cream to see how it rated. That product has been in my house for years. Molly and my girls have used it as a skin care product, and I think even my mom used it. When scanned it came up a 10! Under ingredients, the one rated 10 is DMDM Hydantoin, and number 9 is Fragrance, number 7 is Methylparaben, number 5 is Petrolatum and Laureth 23, and number 4 is Iodopropynyl. What are these ingredients? DMDM Hydantoin is also known as 4-methylenedioxyaniline HCL, DMDM Hydantoin Formaldehyde releasing agents. The usage for formaldehyde releasing agents is used for preservatives in a wide range of cosmetics. Formaldehyde is considered a Group 1 Carcinogenic to humans by IARC (International Agency for Research on Cancer). May trigger eczema, known human carcinogen, allergies, carcinogen. Formaldehyde is voted as “Allergen of the Year” of 2015 by The Dermatologist Journal (The Dermatologist). In many cases, this ingredient is not listed on the labels. Studies show that via liquid chromatography analysis some products that list 82% ethanol and water as ingredients, in fact contain an undisclosed ingredient (Friis et al). Fragrance is number 9, which was discussed before with the Barbosal example. The next items is number 7, Methylparaben. Fragrance ingredient, preservative, mimic estrogen and can act as potential hormone (endocrine) system disruptor. Parabens are a group of compounds widely used as an antifungal agent, preservative and antimicrobial in creams, lotions, ointments and other cosmetics, including underarm deodorants. In 2011, a study showed that methylparabens may cause healthy cells to grow and survive like cancer cells grow and survive, and like cancer cells, can interfere with the effectiveness of anti-cancer drugs. Some studies of breast tumors show a buildup of methylparabens in the breast tissue. I will not go over the number 5’s and below. They are not considered as harmful as the top 10’s. As you can see, even if you read the label, you may not fully understand what is being used in the product and the effect that compound can have on your body. 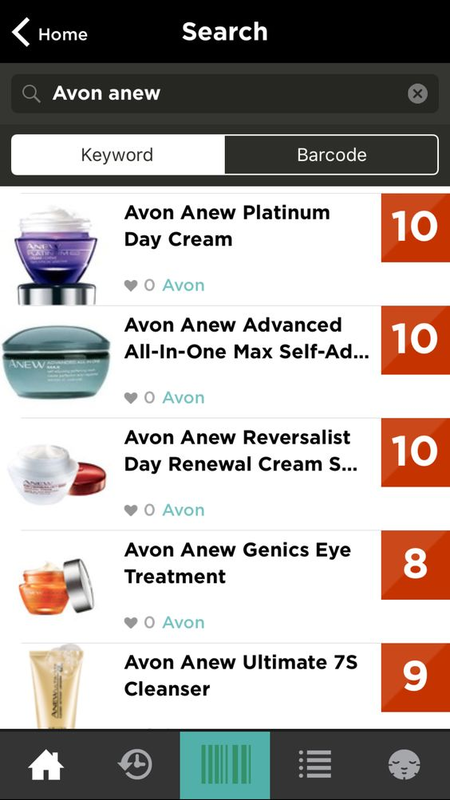 You can find products that are rated from 5 to 0. This app gives suggestions, which I wouldn’t be surprised if they didn’t make money each time you clicked and purchased from the app, but at least you know where to start. The main thing to remember is to not assume that what you have been using on your body for a few days or most of your life is necessarily safe and without harmful side effects. Just being informed about what is in the products we buy can help us decide if we should look for alternatives. Shop informed. I am not saying that you should download this app, I just want to bring attention, to the ones that care, that apps like this are out there. Apps that can be used to scan products or to research by typing the product name in, to see if you want to take the risk, that it states that you may be taking, in using the product. “Think Dirty® is a project born out of a personal journey to understand the truths in the beauty industry. Due to family history of cancer, I decided to research into the many causes behind breast cancer, including ‘toxic’ ingredients in cosmetic and personal care products. 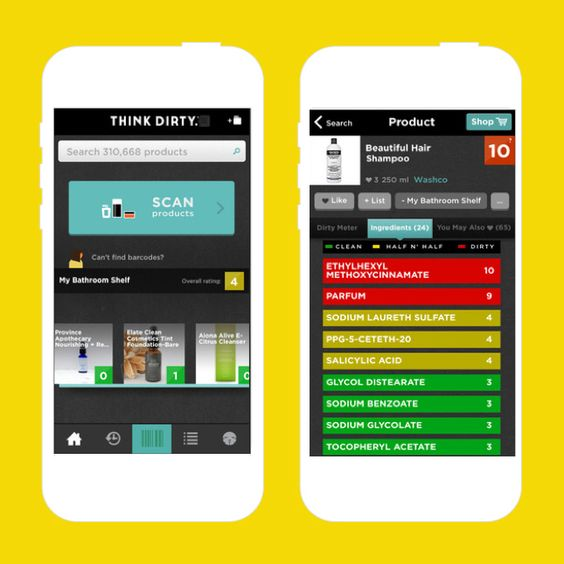 However, Think Dirty® is more than just a mobile app – it’s a consumer revolution for safer cosmetics by learning one ingredient at a time, changing to cleaner options, one product at a time. Inc., Good Clean Collective. “Think Dirty App.” Think Dirty, www.thinkdirtyapp.com/about-methodology.php.